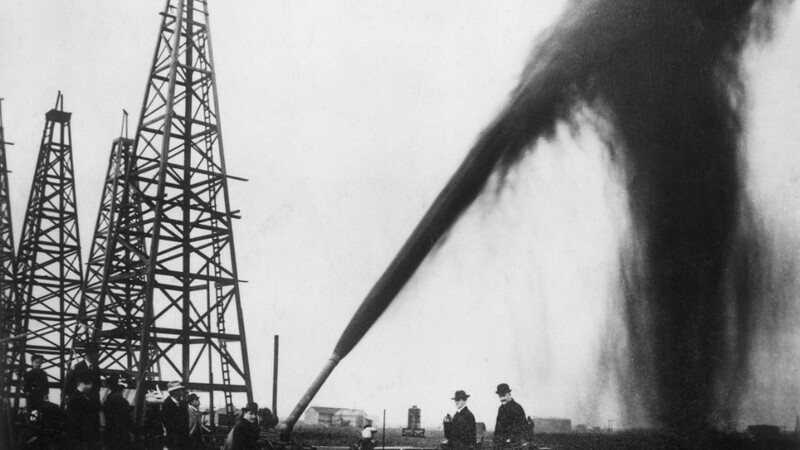 General Electric is betting big on oil and gas. The company announced Monday that it will merge its oil and gas business into Baker Hughes, a major player in the oilfield services industry. Oilfield services firms help companies that produce oil and gas, providing technology and tools that explore and drill. All oil-related businesses have been hurt in the past two years by the plunge in energy prices, but oilfield services has been particularly slammed. As prices dropped, companies cut back on the exploration and drilling of new wells. Rigs that Baker Hughes owns have dropped by more than 2,000 worldwide in the past two years, a 57% decline. And the company cut 19,000 jobs just last year -- 10,000 of which were in the United States. The pullback in the industry prompted Baker Hughes to agree to a purchase by rival Halliburton (HAL) in November 2014. But that deal was scrapped after the U.S. Justice Department sued to block the merger because of antitrust concerns. Despite the difficulties in the oil patch, the combined businesses of GE Oil and Gas and Baker Hughes still had annual revenue of more than $30 billion. They said the deal will allow them to cut costs by $1.6 billion a year within four years. GE and Baker Hughes will create a new company that GE will control, although Baker Hughes shareholders will own a 37.5% stake. The Baker Hughes shareholders will also get a special dividend of $17.50 a share, paid for by $7.4 billion in cash from GE. Shares of Baker Hughes (BHI) jumped 7% in premarket trading on the news. That's on top of an 8% gain in trading Friday on rumors that a deal was near. Shares of GE (GE) were also slightly higher in premarket trading. The deal will have to be approved by regulators before the companies can close the deal. Both companies have histories going back more than a century that include some famous men in U.S. history. The Hughes in name Baker Hughes refers to Howard Hughes Sr., father of the eccentric American business tycoon Howard Hughes. In 1909, Hughes Sr. introduced a drill bit that dramatically improved the rotary drilling process. Hughes Tool merged with oilfield services company Baker International in 1987. GE was created in 1890 as Edison General Electric Co. by Thomas Edison soon after he received patents for the first light bulb.